Dr. Fardad Mobin is a Board Certified Neurosurgeon, who specializes in minimally invasive spinal surgery. Highly respected for his extensive neurosurgical experience, he is repeatedly requested by patients and other doctors for his reputation for administering expert, comprehensive and compassionate surgical procedures. He provides meticulous surgical care for many spinal conditions, including: Bulging and Herniated Disks, Pinched Nerves, Spine Scoliosis, Spine Stenosis, Spine Tumors and Bone Spurs. Dr. Mobin utilizes the most advanced medical expertise and technology to surgically treat conditions such as: Disc Replacement Surgery, Herniated Disk Surgery, Spinal Decompression Surgery, Minimally Invasive Neck and Back Surgery, Minimally Invasive Spine Fusion, Cervical and Lumbar Spine Surgery. Dr. Mobin employs the most advanced, image-guided surgical procedures, which generate simulations that navigate safe surgical passageways into the human body. His procedures are done with such accuracy and care, that he is frequently solicited to assist other Spine Surgeons with difficult surgeries. Because of his meticulous surgical expertise, as well as, his highly regarded reputation for excellence in his field, he is often requested to treat family members of other doctors. Dr. Mobin takes pride in administering state-of-the art surgical techniques that result in exceptional success and fast recovery. Having performed over 2,000 Spine Procedures, he has acquired an excellent safety record among his peers. Dr. Mobin cultivates a compassionate, comforting environment where each patient receives outstanding care. Dr. Mobin graduated Alpha Omega Alpha from the University of California, Davis Medical School with honors. He completed his neurosurgical residency at the University of California Medical Center, where he served as Chief Resident. He continues his affiliation with the clinical facility at UCDMC. He completed his fellowship at UCLA. Dr. Mobin has achieved several professional accolades. He served as Chief of Neurosurgical Services at Daniel Freeman Hospital for three years, where he was pivotal in the introduction of industry-leading, image-guided, minimally-invasive surgical techniques. Additionally, he assisted in the modernization of the facility's Neurosurgical ICU, and served as principal for a FAST-Mg study focused on stroke victims. He has administered advanced medical courses for medical and nursing students, and is a founding member of Diagnostic and Interventional Spinal Care (D.I.S.C), the official medical service provider to the U.S. Olympic team. 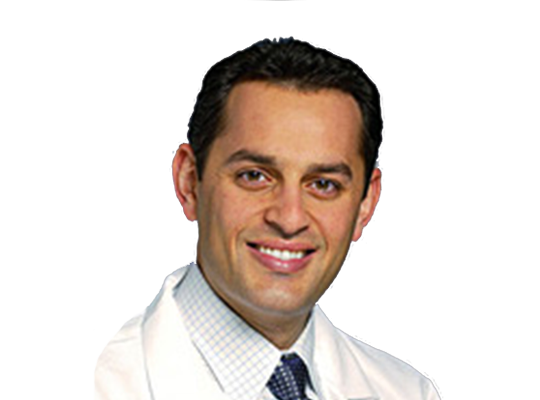 To learn more about Dr. Fardad Mobin, visit www.spinesurgeonla.com, or call (310) 829-5888, to schedule your consultation today. Are you a patient of Dr. Fardad Mobin? Login to your Who Is Who account and share your experience with Dr. Fardad Mobin. It takes seconds to register. Start your FREE account today and share your expereince with Dr. Fardad Mobin.